On 12–13 April 2018, the Slovak Security Policy Institute has successfully organized the third annual conference of Slovak security and defence community „Together on Security and Defence“ with participation of number of important guests. 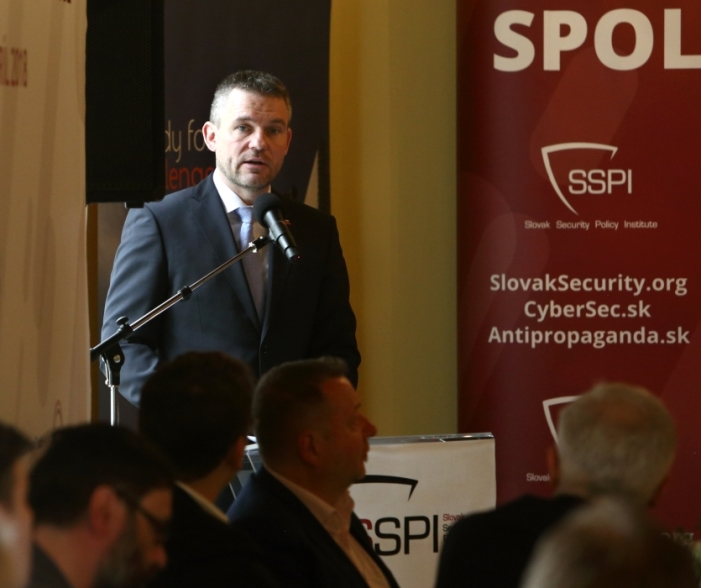 In his keynote speech at the beginning of the conference, the Prime Minister of the Slovak Republic Mr. Peter Pellegrini highlighted that security and defence belong to the priorities of his government. “Security of our citizens and our country is of outmost importance not only for the stability but also for the dynamic economic and social development and therefore it will belong to the priorities of the government in the future”, he explained. In context of the ongoing modernization of the Armed Forces of the Slovak Republic he also stressed that under his leadership the Ministry of Finance´s unit called Value for money will be involved in providing analysis on each particular modernisation project. The Prime Minister Peter Pellegrini underlined the importance of organizing such events that are creating platform for open discussions among all relevant actors of Slovak security and defence community. The topics of discussions in Beladice were focused on evaluation of fulfilling of the priorities set by this government in the area of security and defence in its Communiqué after half of the electoral term as well as on the ongoing modernization of the Armed Forces of the Slovak Republic. Special attention was paid also to development of the Cyber Security of the Slovak Republic. Relevant experts also discussed the topic of Strategic Communication #WeAreNATO and how to bring this topic closer to the public. The conference was attended by more than 75 representatives of the ministries and parliament, non-governmental analysts, uniformed personnel, academics, diplomats and private companies. We are pleased that invitation to the conference was accepted also by Ambassador Ivan Korčok, the State Secretary of the Ministry of Foreign and European Affairs of the Slovak Republic, Mr. Róbert Ondrejcsák, the State Secretary of the Ministry of Defence of the Slovak Republic and Ms. Martina Slabejová, Director General, Division of Informatics Society of the Office of the Deputy Prime Minister for Investment and Informatization of the Slovak Republic and that in their opening speeches at the beginning of each panel they clearly demonstrated their interest to continue closer dialogue with security community about such important topics concerning the development of the security and defence of the Slovak Republic and its Euro-Atlantic anchoring. The conference was organized in cooperation with Ministry of Foreign and European Affairs of the Slovak Republic, Friedrich Ebert Stiftung, NATO PDD and Slovak Security and Defence Industry Association.